Mark drew a sign-in-board caricature for the guests to sign (from photos in advance). 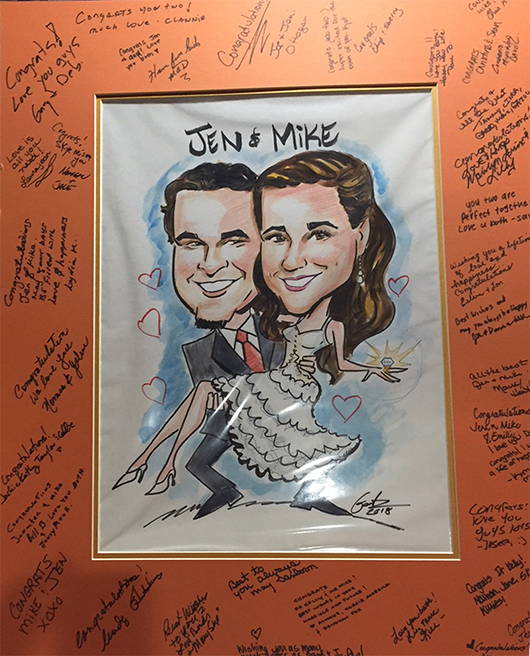 Then Laura and Mark drew live caricatures at the reception. The reception was at the Wilderness Presidential Resort. 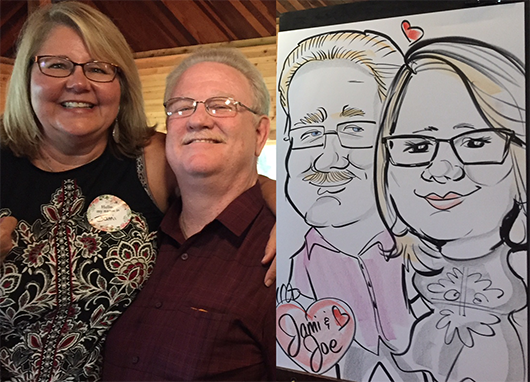 This entry was posted in Caricature Artist, Caricature Artist Northern Virginia, Caricatures at events, Fredericksburg Virginia caricatures, Live caricatures, Northern Virginia caricatures, Wedding reception caricatures. Bookmark the permalink.